Introducing the Corioliss C3 Rose Gold Hair Straightener which is designed especially for short hair. An ergonomic slim line design and professional 3m salon approved swivel cord make this styling iron easy to use, giving professional, lasting results. Use it to curl, straighten, smooth or wave hair for the perfect look every time. One thing I automatically like about the C3 straighteners is the wide array of zany patterns and colours you can choose from. 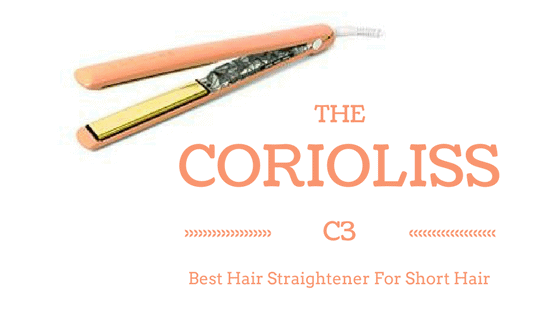 Especially this Corioliss C3 Rose Gold Hair Straightener looks very stylish and professional. The lightweight and slimline design of the straightener is very easy to handle, and I imagine it would make creating curls and waves seem like the easiest thing in the world especially for short hair. The extra-long plates allow for bigger sections of hair to be styled in one go, which could easily reduce your average styling time by half. I would recommend these straighteners to pretty much everyone with any type of short hair- the broad range of temperatures mean that the straighteners are suitable for practically every hair type- no matter how fine or thick. Featuring titanium smooth plate technology and extra-long floating plates for perfect contact and heat distribution every time, the irons will glide over your hair smoothly without causing static thanks to innovative negative ion technology leading to maximum protection and lasting results. Complete with a 3-metre salon standard cord with 360° swivel action which helps to prevent it from becoming twisted. There is no need to be waiting around to style your hair as it is only a 20 second heat up time. It also has a digital control to adjust the temperatures which means it can be suitable for hair types as it can go from a very low temperature for the finer more delicate hair, to a very high temperature for the thick types of hair. The Corioliss C3 Professional Rose Gold Hair Straighteners are a high performance, advanced styling iron for glamorous and perfectly styled hair. Featuring professional titanium smooth plate technology and extra-long floating plates, these styling irons glide through hair with ease for super shiny styles. In addition, the C3 has a safety sleep mode, which shuts the styler down after 2 hours and comes complete with a matching travel pouch. Auto Sleep Mode: If the iron has been left on and unattended for over 30mins, a microprocessor intelligently cuts the power supply to conserve energy and increase safety. The C3 features dual voltage circuitry making it ideal for travel. Less damaging than ceramic plated straighteners, the ergonomic tool features LED digital temperature control to allow heat adjustment from 135°C-235°C to suit your styling needs. With the infrared heat this helps with ultimate protection and long lasting results. ​Did you know if you don't clean off your plates on a regular basis then they wont perform nearly half as well! At a price bracket of £130 which is currently available in many places for £79.99, this is great value for money and a great offer. For stylish product from a well trusted brand we absolutely love this straightener. It perfect short hair but also how to style your hair with curls and flicks. 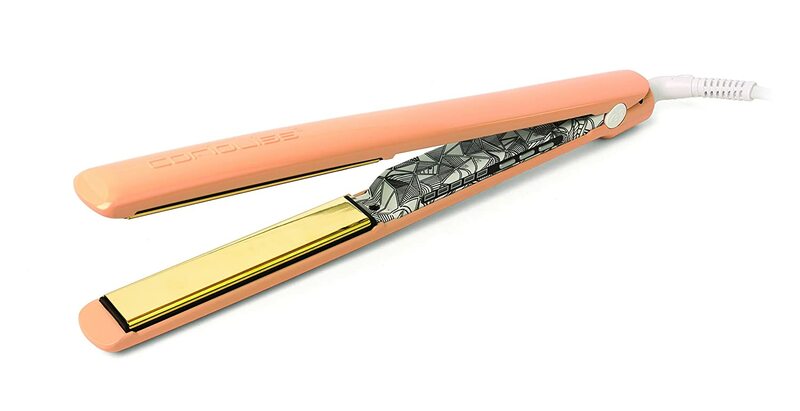 Finally, this product is one of my favourites because of it pretty rose gold design and that it suitable for all hair types, so not only will it deal with your short hair whether it is thick or thin but also will deal with other types of hair if you have your friends round and you want to share your stylish straighteners with everyone else.